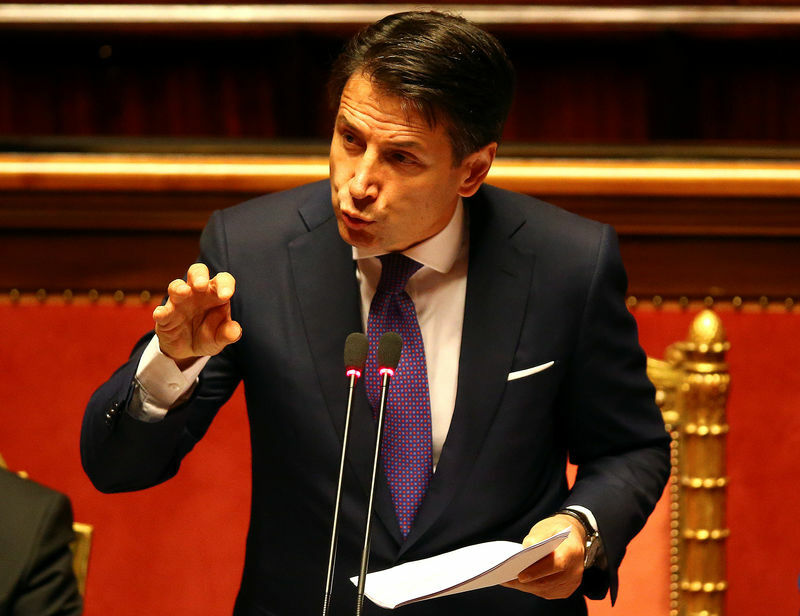 ROME (Reuters) – Italy’s new government will review the previous administration’s shake up of mutual and co-operative banks, Prime Minister Giuseppe Conte told parliament on Wednesday, without giving any details. Conte, who heads a coalition that unites the far-right League and anti-establishment 5-Star Movement, also confirmed that his government would look into separating investment banking from retail banking. While the possibility of splitting investment and retail banking was included in the coalition contract, the document made no mention of undoing the reform of the large “popolari” banks that was a flagship project promoted by former Prime Minister Matteo Renzi.